Nothing quite like diving deep and discovering people’s weird side-projects, right? I’ve mentioned before that my home office setup (read: the things on my desk) needs a few upgrades to become more sustainable. The corp’s happy to help out with this, and it’s been confirmed that I’m getting what has to be the weirdest item on my wishlist: this keyboard. 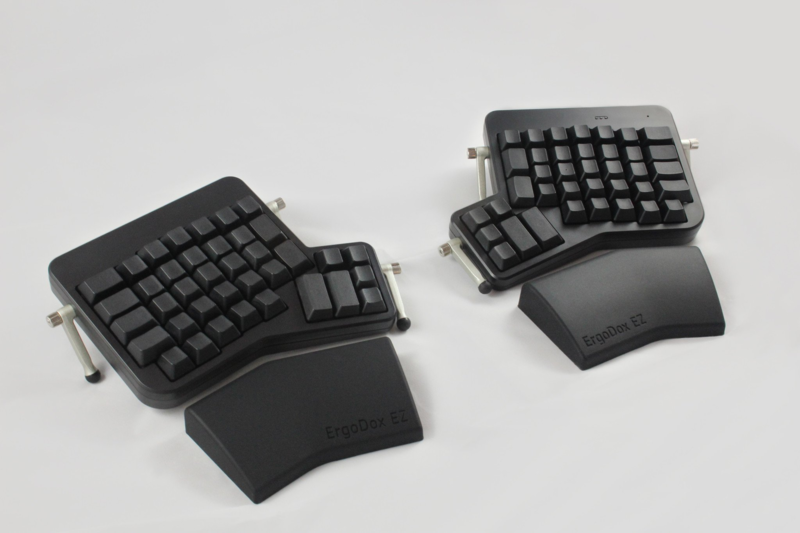 What you’re looking at is the pre-assembled version of a fully open source keyboard design. I could’ve bought the parts and put the thing together myself, but I’m not that good or patient when it comes to hardware. It’s still very much a project though, all the keys are remapable to pretty much anything… and more! Wanting to learn to properly touch type and do away with the janky qwerty layout that’s plaguing us all, I’ve been looking into alternative layouts. Dvorak is the most popular choice, with Colemak being another good contender. They focus on putting frequently used keys closer to the home row, and Dvorak in particular is big on hand alternation. I’ve also discovered the Workman layout, design to optimize for typing efficiency and comfort rather than travel distance. Your index and middle fingers can take a lot more punishment than your poor pinkies, after all. There’s also some guy who write a custom evolutionary algorithm to figure things out for himself, and lots of people using heavily customized versions of other layouts that better fit their exact needs. It’s absurd how much variance there is down here. I wonder if I’ll be able to find my gem. Anything better than qwerty I guess.